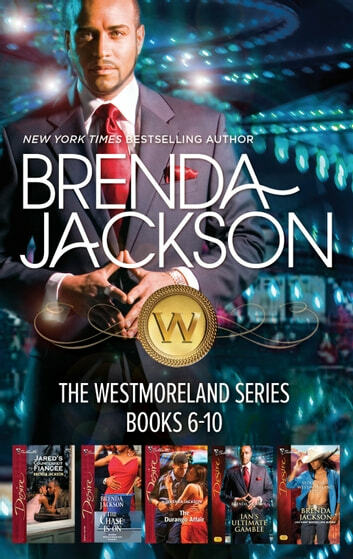 From New York Times bestselling author Brenda Jackson come The Westmorelands–a family whose loyalty leads to love! Dana owes Jared a favour...and agrees to pretend to be his fiancee. But the private moments they shared made Dana wonder how she'd ever survive this engagement with her heart intact. Jessica couldn't deny the heat that sparked every time Chase was near. But she had a secret, one that could destroy the desire she saw burning in his eyes. Will she reveal the truth and risk their chance at love? When Savannah reveals she's carrying Durango Westmoreland's baby, he knows he must honour his responsibility to her...so he proposes. Savannah accepts on one condition: it will be a marriage in name only. 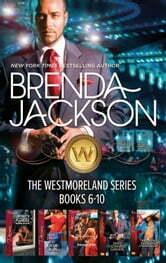 Casino owner Ian Westmoreland thought he had seen the last of Brooke Chamberlain, until she checked into his resort. Brooke had betrayed him years before, and Ian was willing to bet there was more to her visit than she would admit. And if Ian was going to discover what Brooke was hiding, what better way than through seduction? When Casey Westmoreland asked McKinnon Quin for a job training horses, he turned her down flat. For despite her innocent looks, she tempted him beyond reason.